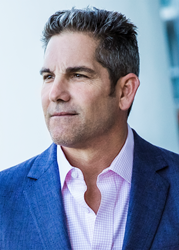 As the top sales trainer in the world, Grant Cardone now joins Warren Buffett, Rupert Murdoch, Richard Branson, Elon Musk, Al Roker, and Tim Cook among others who sit in the top 10. In addition to being a business strategist, Cardone is a marketing and branding expert who is the founder of five multi-million dollar companies which collectively make over one hundred million dollars in sales per year. Some of the 500 Most Influential CEO’s in the world come from humble beginnings. Grant Cardone was broke at 25 and is living proof that those who are hungry enough to succeed can find greater prosperity in an age where many are struggling just to survive in the middle class—living paycheck to paycheck.